When Hazel Johnson and Mari McCray met at church bingo in 1963, it was love at first sight. Forced apart by their families and society, Hazel and Mari both married young men and had families. Decades later, now in their mid-Í60s, Hazel and Mari reunite again at a church bingo hall. Realizing their love for each other is still alive, what these grandmothers do next takes absolute strength and courage. 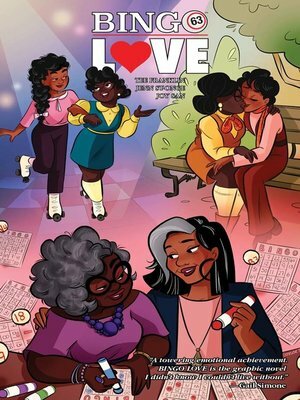 From TEE FRANKLIN (NAILBITERÍs ñTHE OUTFIT,î Love is Love) and JENN ST-ONGE (Jem and The Misfits), BINGO LOVE is a touching story of love, family, and resiliency that spans over 60 years.